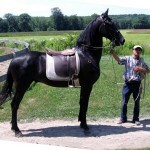 The Georgian Grande Horse is a cross between the American Saddlebred, the Friesian horse as well as the assorted draft horses. 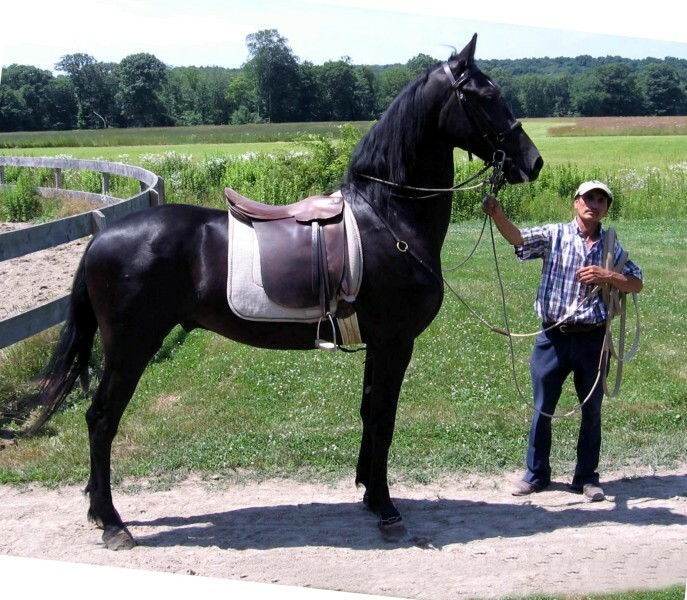 It was designed for the purpose of recreating the robust and appealing stature of the Saddlebreds that thrived in the past as well as bring back the baroque style of horses to be used for driving and several equine disciplines. Their attractive appearance, great movements as well as gentle disposition have made them gain immense popularity in the present times. While grooming these horses care must be taken to keep their mane and tail at full length though the former is sometimes pulled off for jumping or hunting. Cutting or docking of the tails should be prevented, but feathering of its legs is acceptable. 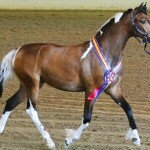 Physical Characteristics Well-shaped head; broad and flat forehead; large, luminous, expressive eyes; properly-shaped and alert ears; long, arched, well-muscled neck, well-defined withers; deep, sloping shoulders; broad and round hips; slightly sloping croup; straight and perfect legs; large, sturdy hooves. 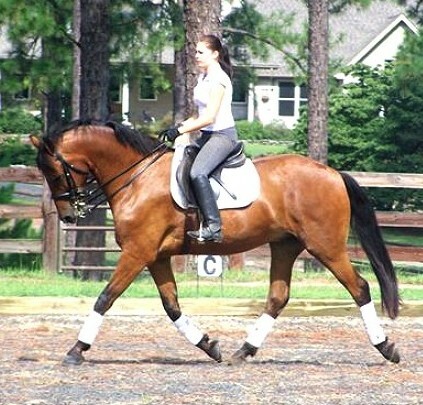 Gaits Has an uphill appearance where the front legs are set under the shoulder and the hocks moving with great flexibility for a smooth and elegant gait. Health Though it is healthy, regular check up is needed to ensure physical fitness. Popular Traits/ Characteristics Has a grand and impressive appearance and carry themselves in a stylish and attractive way. 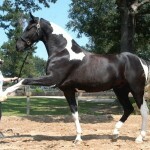 The impressive appearance of the Saddlebred thriving in the past was greatly missed as the American Saddlebreds of the present time lacked the charm and heaviness of the previous breeds. 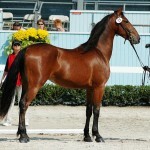 Thus, George Wagner Jr., an Ohio breeder set out with the ambition of developing horses that would possess the stocky and athletic look of the Saddlebreds of the past. 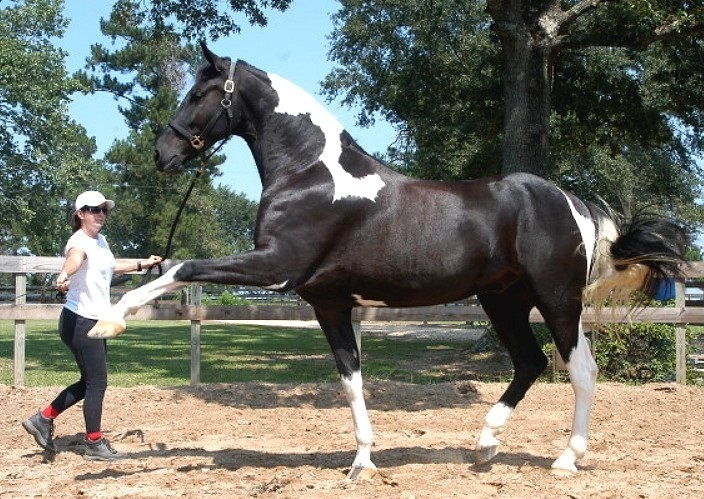 Keeping this in mind, he blended the genes of the Friesian, draft and Saddlebreds to design a stylish equine breed that were energetic, also being large-sized along with a smooth gait. 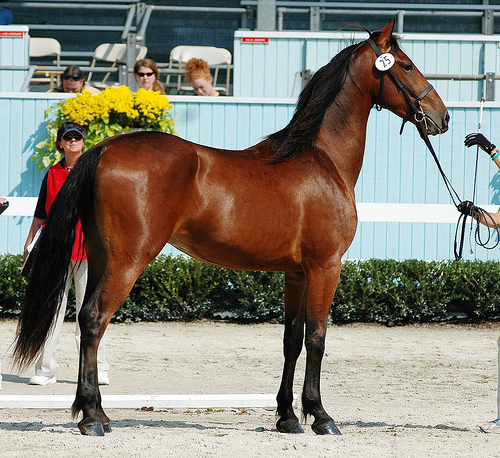 The foundation stone of the International Georgian Grande Horse Registry was laid in the year 1994, with this breed also being accepted and acknowledged by the American Horse Council, the United States Dressage Federation All Breeds Council. 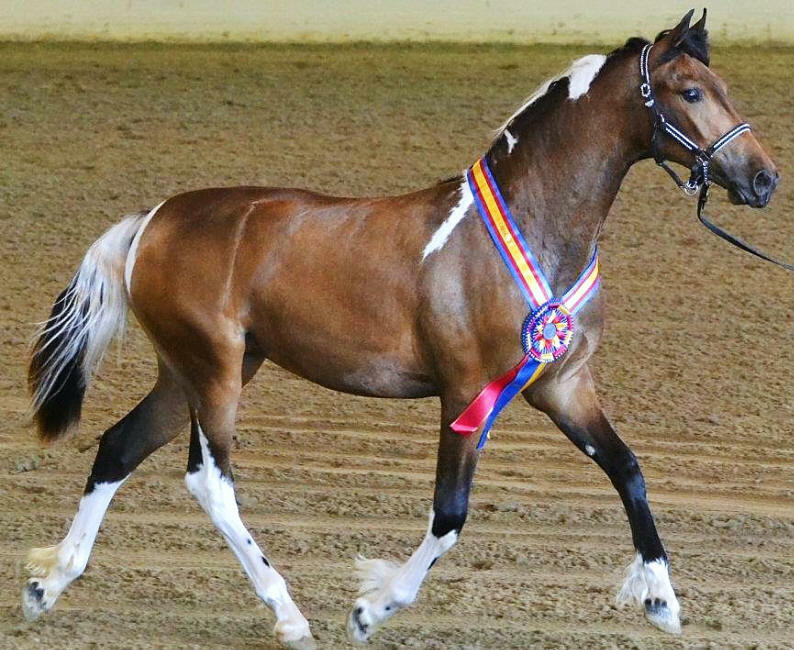 Though not nationally recognized by the United States Equestrian Federation they have been accepted by the USEF as a participating breed. 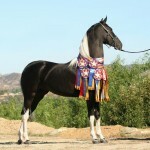 In order to qualify to be registered with the IGGHR (International Georgian Grande Horse Registry), this breed must either be born to parents who are registered Georgian Grand horses or comprise of a bloodline of the American Saddlebred as well any of the given horses…..namely Friesian Horse, Percheron, Clydesdale horse, Belgian draft horse or Irish draft. The acceptance of the Gypsy Vanner and the Drummer horse would be possible if the acquired registrations by the registries of their respective breeds as well as a proven pedigree. 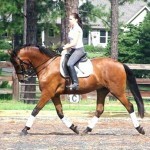 The minimum and maximum Saddlebred influence present in this kind should be 25% and 75% respectively. The meaning of its name is interpreted as George’s Great Horse.